June 11 to June 15 Monday to Friday from 9 AM to 1 PM and Friday from 9 AM to 4 PM. 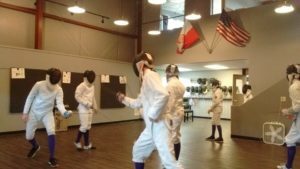 Prepare yourself for the perfect fun week of foil fencing! Cracovia Open House on Saturday, February 17/2018 at 11 AM. 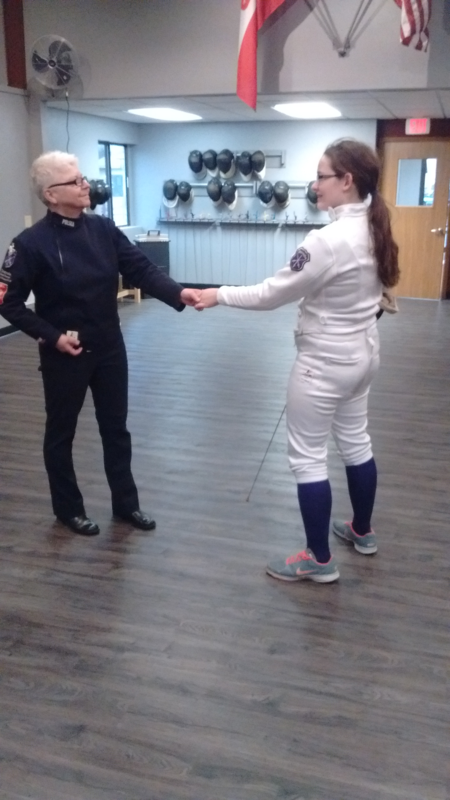 This will be a practice for members as well as an open house to the public, during which we’ll demonstrate what fencing is all about. All are welcome! Summer 2018 Cracovia Foil Fencing Camp! More info coming soon! Thank you to Laura Kocum Writer-Marketing for your time and interest in Olympic Sport Foil Fencing Cracovia…and for a fantastic article about us! Cracovia Olympic Foil Fencing School has a new Home! Gorgeous, two story, just renovated 2400 square feet facility! Excellent West site of Madison location, beautiful light fixtures, boasting high ceiling in fencing area, Wi- Fi, big lobby, changing and armory room, private restroom and more…! Location 622 Struck Street Madison WI 53719. Cracovia is dedicated to promoting the wonderful sport of foil fencing. 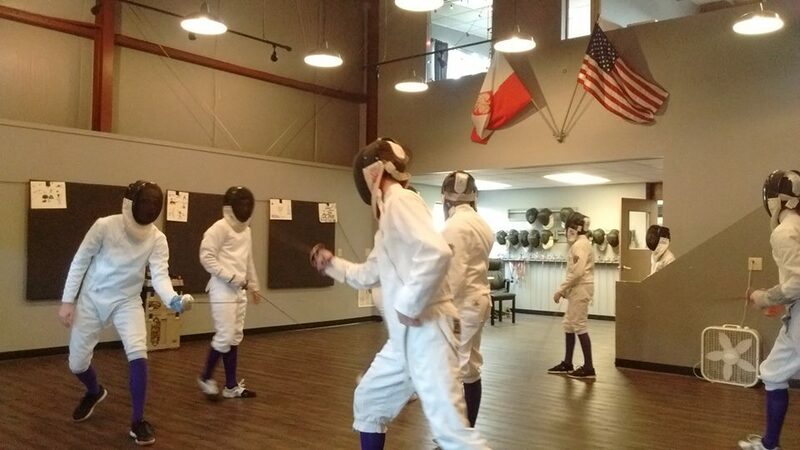 Fencing can be looked at as a life-long recreation skill that provides an individual with relaxation, fellowship, enjoyment and a refreshment of body, mind and spirit. Celebrating fair play, challenge, respect and fun since 1997. We offer group instruction, club, private lessons and summer programs for ages 9 and up. Cracovia welcomes fencers of all experience levels. We encourage both women and men to give this sport a try. Check the Lessons and Club page for current classes and membership in Madison. Cracovia also reaches out to promote foil fencing throughout the area, and has offered classes in Mount Horeb since 2003 and in Sun Prairie since 2006. Check here for Mount Horeb classes and here for Sun Prairie classes. We have offered summer programs since the founding of the school in 1997 and plan to continue that fine tradition. Check the news blog for upcoming special programs!